Greece’s relationship with China could contribute to further growth within manufacturing, as well as overall economic opportunities for the country. According to Ekathimerini News, “[…] in the last three years Greek exports to China have been posting an annual growth rate of 40 percent to exceed 420 million euros in 2013, while Chinese imports to Greece have grown above 2.2 billion euros on a yearly basis.”The flourishing trade relationship between the two countries has allowed for further prospects in terms of future partnerships in the Greek resources sector. It’s no surprise to economists that China would show interest in the Greece’s power grid infrastructure. 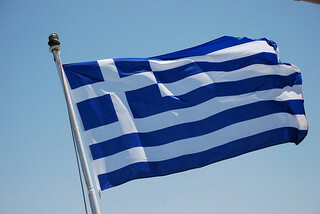 Sources say China may soon be in talks with Greek grid operator ADMIE. In the past, electricity output hindered Greek production efforts. Chinese interest in ADMIE could signal a win-win for both countries. Foreign interest in electricity resources could bolster the need for Greek mining and quarry production, which could increase not only manufacturing output, but jobs. Currently, Greek employment faces a negative outlook. Additional opportunities in manufacturing could create job openings, as well.